I have enjoyed teaching McGoo U classes for a year now. I can’t tell you the fun, the friendships, the laughter I have enjoyed from teaching cookie decorating! The only downside is that not everyone can come over and play with me. Not everybody can jump on a plane or drive for days to frost and paint on cookies for an afternoon. Some of you may have heard I’m working on getting my McGoo U classes ready for their big online debut so that everyone can take a McGoo U class; no plane necessary. It’s true! and I am super close to having McGoo U online and ready to watch, but here is the big secret: It’s more than just an online tutorial. So. Much. MORE! More? What do you mean Arty? Well, let me explain. Each month, there will be new episodes to view and enjoy…. that’s right. I said episodes. First off we have a McGoo U course. McGoo U Online will be a full, step-by-step class where I teach you how to achieve a set of 3 – 4 cookie designs every month. In each class I will cover a variety of techniques while guest students follow along and ask questions that you may have as a viewer. When each course is released, a coinciding blog post will be available with the details and tools necessary if you’d like to cookie along! Mixing It Up! 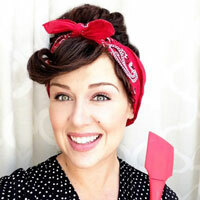 is where we “mix it up” with another cookier, crafter, or creative master. We chat about anything and everything; get to know a bit more about our awesome guest, how they got started, why they do what they do, and what exciting things are coming up for them. 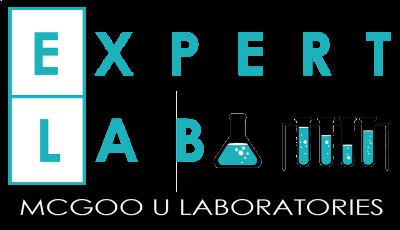 Expert Lab is where our amazing guest will show you how to create one of their specialties. These tutorials could be as specific as a single technique or a fully realized design. It could even be a seasonal craft for your home, depending on who the guest is. Our guest experts will be sure to educate and inspire you! After School is where we get ridiculous! Our brain is full from classes and tutorials and we are ready to let our hair down, kick off our shoes and take off our backpacks. This segment is all about relaxing and watching the guests and myself act like idiots in skits, parodies, maybe a dance off or music video? Anything goes after school! Extra Frosting. After decorating cookies, I always have a little bit of frosting leftover. This is the perfect moment to grab that extra cookie and play. Everybody loves a little extra credit! WHO are the special guests? WHAT are we going to learn? WHO were your guest students? WHEN does all this craziness begin? WHY are you doing this? Good questions, one and all. The special guests will blow your ever-loving mind! You are going to learn so much every month that I can’t even list it! My guest students are super awesome and talented cookiers from our very own cookie community! The “WHEN” is very soon. We are finalizing edits and adding special touches right now and I am beyond excited to bring it all to you. I don’t want to make any promises, but it looks like within a week. I hope you enjoy these first episodes. It has been an incredible experience creating and learning with my special guests and the film crew at Real Media in Kansas City. I’m excited about episodes to come and guests for the future. This idea has been building for quite a while now and I am thrilled to see it coming to life! I am also excited to announce that the first series for October will be free! Yaaaaaaay! Will You Go to Winter Formal With Me? Jewel Kade Cookies and… GIVEAWAY! I know many people who will be SO excited about this venture of yours ~ me included! So excited, I can’t wait to see what you’ve put together! So excited! Love all your going to offer! I’m so excited, I’m so excited, I’m so excited!!!!!!!! 😀 Can’t wait!!! I’m gearing up, charging up the ipad, and warming up the oven!!! Can’t wait! What a great idea! Can’t wait to be an online student! Hi Liz! oh how fun! can’t wait to see what you have in store! Congratulations! Looking forward to your huge success! Thank u! I’m on my knees in a deep bow not that u can see it but still. From the bottom of my heart thank U!